February 20th, 2011. Carrabassett Valley, Northern Maine. 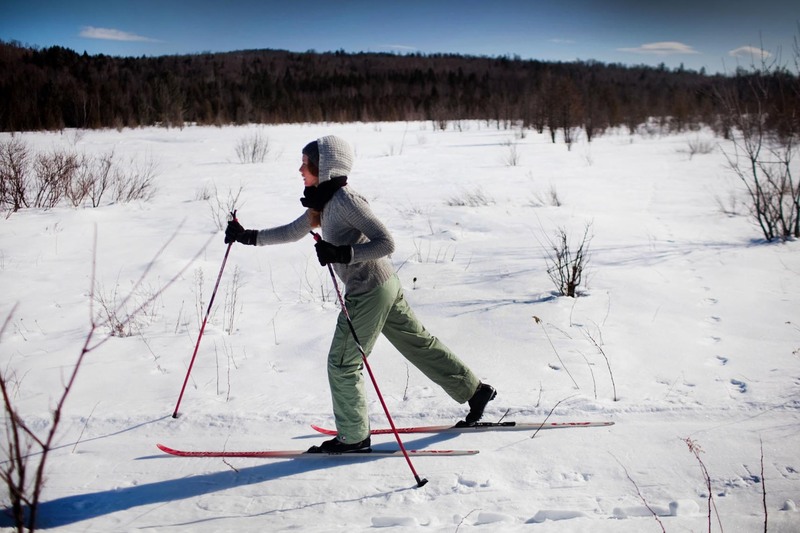 A non for profit Maine Huts and Trails and has 30 miles of uninterrupted cross country ski trails between several state of the art eco-friendly huts. Here, a skier on a freshly groomed 11.7 mile trail from Flagstaff Lake Hut to Grand Falls Hut. Piotr Redlinski for The New York Times.